How To Uninstall IE8 In Windows Vista ? Already we discussed about the ultimate-windows-tweaker-brings-a-lot-for-windows-vista-and-seven/">features of IE8 in our blog. Although you don’t feel convenient with IE8 yet mostly you will never uninstall the browser from your system. Still you want to uninstall the browser from your system it is slightly different in some-usefult-tips-for-windows-vista/">Windows Vista, from uninstalling in Windows XP. nimbuzz-instant-messenger-for-windows-mobile/">Here are the steps given for Vista users. •Rush to the Programs and Features applet from control panel. •Click on the view installed updates link in the left hand side menu. 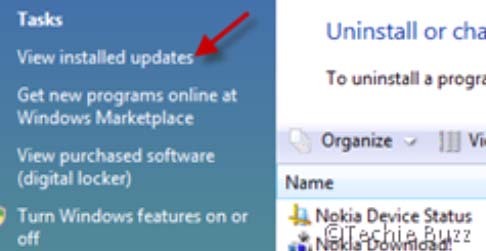 •Then choose the new-updates-in-windows-live-messenger-2009/">option and click on the uninstall button this can easily delete IE8 from your system and restore IE7. Once you have completed all these you have to restart your system for the internet-explorer-cannot-open-the-site-operation-aborted-sitemeter-crashed-internet-explorer/">changes to take effect.